If you are not planning on using the surround back channels on your Concert AVR, the amplifier has the ability to use those 2 extra channels for other purposes. One of them being using them for Zone 2. 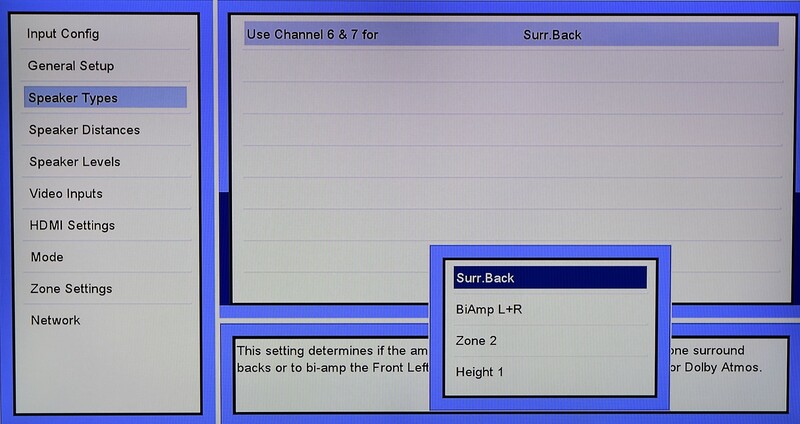 To enable this function, you need to access the Setup Menu on the AVR. Press the Menu button on either the front panel, or via the Menu button on your HTR-2 remote. This should bring up the Setup menu on your TV screen. Select this option and you will be able to choose “Zone 2” as the output destination.